Give students a chance to apply the themes of life on the homefront in America during WWII with this WWII Propaganda Poster Project. 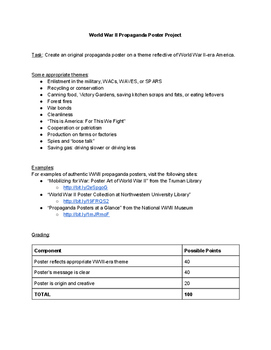 In this project, students will create original propaganda posters on themes reflective of World War II-era America. Their results will look great on your classroom's walls! 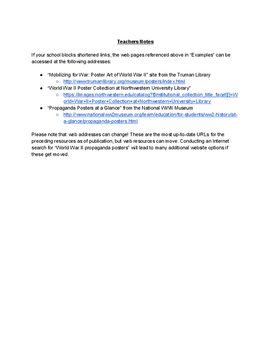 This resource features a student assignment description and includes a rubric.